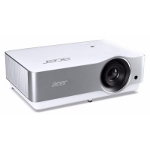 The Acer V9800, introduced in the second quarter of 2017, uses single DMD projection technology and supports UHD resolution (including upscaling). Among its interesting features, Acer's low operation noise and ColorPurity technology. 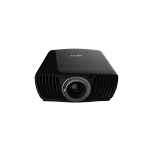 Perhaps the most interesting of Acer's new products, however, was the VL7860 (premiered during IFA), a projector that supports 4K/UHD resolution and is ideal for up to 120-inch projection screens. The new device features 3,000 ANSI Lumens, dynamic contrast control, and compatibility with HDR material. 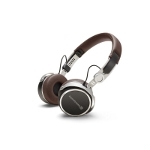 The new Audio Technica's top headphone is the ATH-ADX5000. It is based on 58mm tungsten coated diaphragms and is of open type with a highly permeable honeycomb housing. The frame is made of Magnesium and the total weight is low, at about 270 grams without the cable. Audionet presented the control application of their state-of-the-art, Ultimate Series, preamplifier Stern, a device signed by the top German designer Hartmut Esslinger. 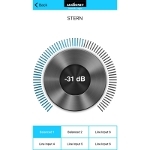 The app is only available for iOS and offers level control and input selection, while can, also, be used to upgrade the preamplifier's software. 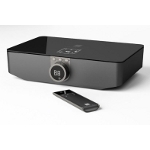 Bang & Olufsen took advantage of Beolab 90's case study technology and designed a smaller model, the Beolab 50. The 50 is an active system with seven drivers, including three-inch woofers, driven by an equal number of amplifiers and offering room acoustics compensation. 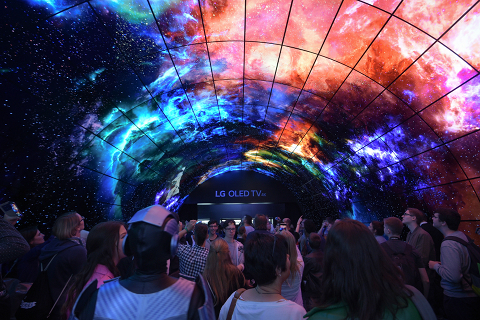 The company from Denmark worked with LG to showcase the BeoVision Eclipse, an HDR-compatible OLED/4K TV-set, available in 55 and 65 inches. 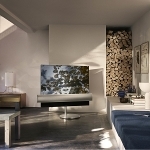 Beovision Eclipse includes a three-channel, 450W soundbar with wireless streaming capability. 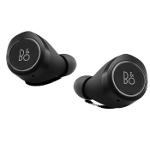 The BeoPlay E8 Wireless Headphones are part of the company's Play series and are aimed at those looking for quality in-ear headphones with many features, including adjustable active noise canceling and an equalizer to suit listener's preferences. 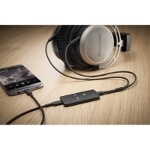 Beyerdynamic's Impacto Essential is a USB cable/DAC combo which allows the headphones to be connected directly to a digital output. It is based on ESS' ES1818Q2C chip and can handle 32/384 and DSD128 streams. It can be connected to Micro-USB, USB-A and USB-C ports and is compatible with the company's T1, T5p, and Amiron Home headphones. The company also demonstrated the Aventho wireless set, featuring Tesla technology units and supporting Bluetooth aptX HD wireless streaming. Aventho takes advantage of Mimi Hearing's MIY (Make It Yours) application and customization algorithm to adapt to each listener's hearing traits. 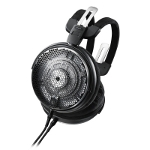 Finally, Beyerdynamic displayed the new Xelento Wireless. Based on the Bluetooth aptX HD wireless streaming technology, Xelento Wireless features miniaturized Tesla technology drivers and offer a battery life of about 5.5 hours with a full charge. 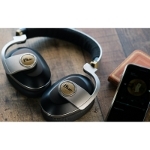 Blue, better known for their microphones and professional headphones, showed the Satellite, an over-ear, wireless headphone, featuring a new active external noise canceling system, which uses separate drivers to compensate for the noise instead of the drivers reproducing the music program. Dali premiered their new loudspeaker system, the Callisto. Callisto includes a control unit with a wide variety of inputs, wirelessly connected to the loudspeakers via a 24/96 streaming link. The loudspeakers include 300W amplifiers and are available in both stand-mount and floorstanding versions. All models feature hybrid double dome/ribbon tweeter array. Denon introduced the AVR-X3400H, a 7.2 channel (7x105W), which supports Dolby Atmos and DTS: X, runs the Audyssey MultEQ XT32 and is based on an AKM DAC for the analog outputs. It offers eight HDMI ports (supporting 4K/UHD and HDR) and will be compatible with HDMI/ eARC via an upgrade. 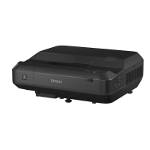 Epson gave new a meaning to the term "Ultra Short-Throw" with the EH-LS100, a projector that can create a 70 to a 130-inch diagonal screen, just 6 inches from the viewing surface. 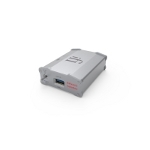 Supports Full HD resolution and is based on 3LCD projection technology with a laser light source. 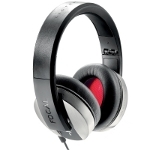 Focal introduced the new Listen Wireless headset, the wireless version of the company's successful Listen, standard, wired model. Listen Wireless is an over-ear design (like the wired model), based on Bluetooth technology (v4.1/aptX) with up to 20 hours of battery life. 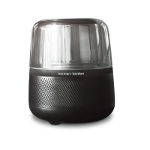 One of the many "smart" loudspeakers introduced in this year's IFA, was Harman Kardon's Allure. Allure supports Amazon's Alexa Voice Control technology and Harman Kardon has designed a system with omnidirectional transmission characteristics (and a built-in sub) for better audio coverage. The loudspeaker also offers a visual indication to confirm reception of user's commands. For those who prefer Kortana technology, however, Harman displayed the Invoke, a smart/wireless loudspeaker compatible with Microsoft's digital assistant. Invoke features six drivers in total (three tweeters and three woofers). 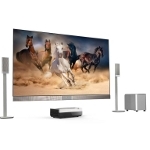 Hisense's idea for a 4K/UHD display with a 100-inch diagonal but a reasonable price includes a projection screen and a short-throw projector, complete with a full 5.1 speaker system. The control unit offers all the features you expect from a TV-set and the price is expected to be significantly lower than a standard flat 100-inch 4K/UHD TV. One of the few companies with high-performance audio devices found in this year's IFA, iFi, has demonstrated, among other devices, the iGalvanic 3.0, a USB isolation/re-clocking system compatible with the USB 3.0 standard. JBL introduced the BAR series, which includes Bluetooth 4.0-based soundbars. The series consists of the Studio and the 2.1, 3.1 and 5.1 models. 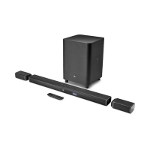 The top 5.1 model features two removable surround speakers that run on rechargeable batteries and can be placed anywhere, as well as a ten-inch, wireless sub. 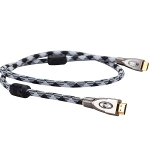 German JIB (Jurgen Isaak Bauer) presented a series of top cables, including the Silver Arrow HDMI 2.0 (with 100Mbps Ethernet line and video data up to 10.2Gbps). It uses S-OCC (Silver-Ohno Continuous Cast) conductors and gold/rhodium plated plugs. 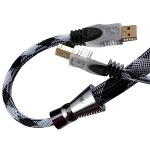 JIB, also displayed the classic Silver Arsenic USB, with S-OCC (Silver-Ohno Continuous Cast) and gold/rhodium plated plugs, suitable for applications that require speeds up to 500Mbps. 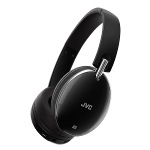 For those looking for headphones with active noise suppression system, JVC proposes the HA-S90BN. 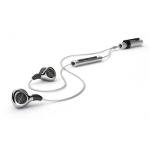 It is a wired/wireless over-ear design that supports NFC for easy pairing and offers up to 27 hours of battery life (in wireless mode with noise suppression enabled). 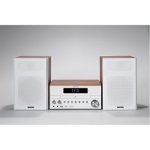 A mini audio system from Kenwood. 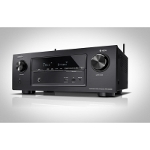 The M-817DAB includes all the features you expect from such a device, including a CD-R/RW player supporting MP3/WMA file playback, a USB port, and FM/DAB radio receiver. It is available in black and white finish.